Samsung remains a major component supplier to Apple, and the South Korean company hopes to retain that business relationship through a "strict internal firewall" dividing its handset business and components operations. Following Samsung's legal defeat against Apple last week, the company held an emergency meeting on Sunday led by vice chairman Coi Gee-sung and head of Samsung's mobile business JK Shin, according to Reuters. Not participating in the meeting was Samsung Chief Executive Kwon Oh-hyun, whose responsibility mostly lies with the company's components business. The reason that Kwon was reportedly not present, even though he is the CEO of Samsung, is because the company has a "strict internal firewall" between its component supply business and handset operations, Monday's report indicated. Citing an unnamed executive who took part in Sunday's meeting in Seoul, it was said that Samsung considers its supply contract with Apple a "separate issue from the litigation," in which Samsung was found to have copied features of Apple's iPhone and iPad. Kwon oversees Samsung, but JK Shin aoversees the telecommunications business and BK Yoon is in charge of Samsung's electronics side. The divisions have been made to "avoid potential conflicts of interest" with major customers like Apple. While Apple and Samsung are fierce competitors in the businesses of smartphones, tablets, computers and more, Samsung is also Apple's largest supplier of components and parts for its popular devices. Most notably, Samsung is responsible for building the custom processors featured in Apple's iOS devices, including the iPhone and iPad. 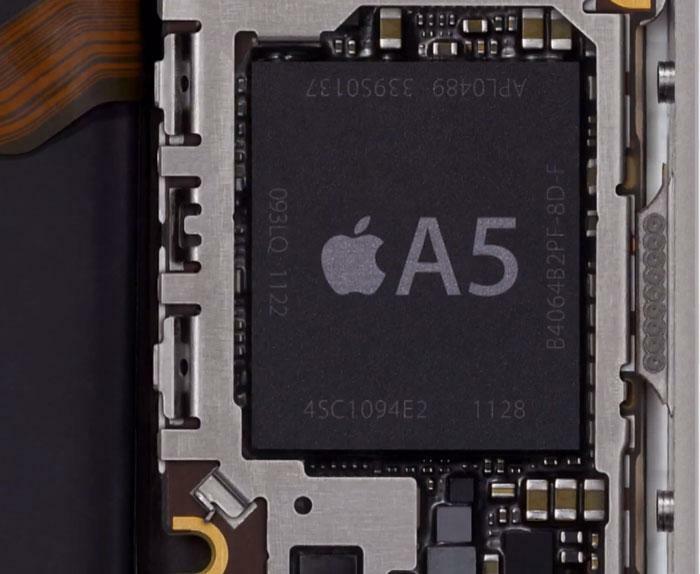 There have been persistent rumors that Apple would like to move production of its custom ARM CPUs away from Samsung to another chipmaker, such as Taiwan Semiconductor Manufacturing Co. However, thus far there has been no indication that anyone other than Samsung has received orders for the A5 chip found in the iPhone 4S or the A5X processor that powers the third-generation iPad with Retina display.